[INQ. NO. 1604E12] Seyoung Information & Telecommunicationrecently began promoting its latest hot item model WIWI(SH-320). It is a 2.4GHz digital transceiver for wireless communication. Simultaneous two-way voice communication is supported. Four-channel use is available for concurrent communication among three persons in maximum per channel and the audio receiving is possible by adding another 255persons. It only weighs 39g, and it has comparative advantages in carrying over similarto those of competitor companies. This can be used while being carried. 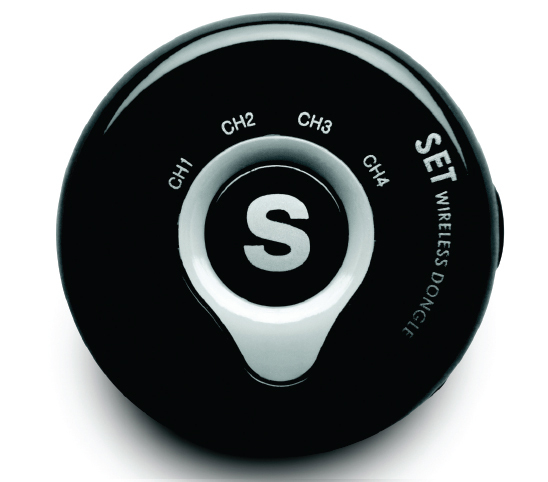 And in addition to providing voice and audio data communication, it even supports high-security communication. Designed to be linked with audio devices including TV, PC, MP3, speaker, etc., WIWI’s application territories are now extending into various fields including tour guide, industrial field, broadcasting, riding horse, business meetings, etc. This product ensures at least 8~12 hours of operation time, only requiring 2hours of charging time. An option product Dongle(UD-110) is also ready for seeking users all over the world, with some impressive features including support of bi-directional audio function when it is connected to other multimedia with USB cable. The acoustic source is audible from multimedia via SH-320, and its voice inputs to the computer via SH-320 mic. Since it was spun off from the Network Business Unit of Samsung Electronics in 1998, the company has steadily expanded its business area as a professional repairing company. The repairing area has now grown to cover high-speed terminals and CDMA vase station equipment based on its repairing technique in the exchanger area. Seyoung aggressively copes with demand of the future and keeps pace with rapidly changing technology and customers’ requirements, based on the complete quality management, innovative management and experienced experts. [INQ. NO. 1504E02] Since Seyoung Information & Telecommunication was spun off from the Network Business Unit of Samsung Electronics at 1998, the company has steadily expanded its business area as a professional repairing company. Its repairing area has now grown to cover highspeed terminals and CDMA vase station equipment based on its repairing technique in exchanger area. It also develops short-range wireless communication solutions (WIWI) and IP based multimedia communication solution(S-media) utilizing its accumulated knowledge and know-how in H/W and S/W field gained after many years of repairing. Seyoung Info & Telaggressively copes with demand of the future and keep pace with rapidly changing technology and customers’ requirements thanks to the complete quality management, innovative management and experienced experts. 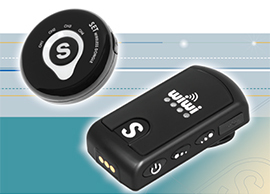 WiWI(SH-320) from the company is 2.4GHz digital wireless communication solution(Transceiver). Simultaneous two-way voice communication among headsets(wiwi) is available. Four- channel use is supported and is available for concurrent communication among three persons in maximum per channel and the audio receiving is possible by adding another 255persons. It is easily portable(weighs just 39g) and can be used while moving. 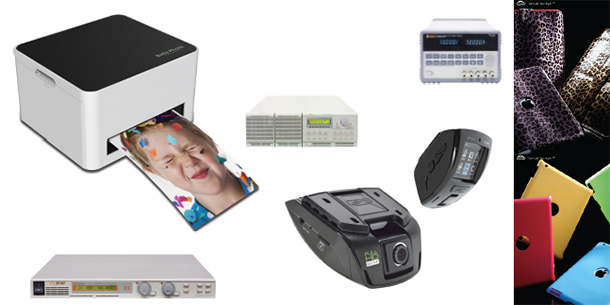 Also provides voice and audio data communication and high-security communication. It can be linked with audio devices including TV, PC, MP3, Speaker etc. 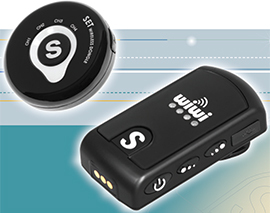 WIWI is being used to various fields (Tour Guide, Industrial field, Broadcasting, Riding horse, Business meetings, etc.). Operation time is Max 8 to 12hours and charging time only 2hours. Dongle(UD-110), option product, supports bi-directional audio when it is connected to other multimedia with USB cable. The acoustic source is audible from multimedia via SH-320, and its voice inputs to the computer via SH-320 mic. Korean consumer companies’ market-leading solutions will be presented capturing keen attention among industrial circles at the forthcoming CES 2015, which will feature 20 category-specific marketplaces highlighting innovation across diverse product areas. From January 6 to 9, Korean suppliers will seek more business opportunities – seizing the early global market opportunities of the New Year at the largest-ever scale exhibition, where more than 3,500 units of consumer home appliances and technologies will be presented. Korea’s smalland medium-sized enterprises (SMEs) will make use of this year’s active drives in the global markets in order to maintain favorable mood for them. In the meantime, Korean global giant consumer makers – Samsung Electronics and LG Electronics – are more proactively moving to maximize the promotion effects they are considering for their large share of market dominance. The former is planning to mass-produce QD (Quantum Dot) TVs after unveiling those products at the event. The latter is also strategically considering exhibition of QD TVs and their mass-production. Hyundai will exhibit its latest automotive models equipped with market-leading technologies among an enhanced lineup of automotive technology exhibits at the exhibition as way of boosting its brand awareness, where other global auto makers are also scheduled to be at the venue – such as Audi, BMW, Chrysler, Ford, GM, Hyundai, Mazda, Mercedes, MINI, Toyota and Volkswagen. These makers’ such plans were reportedly determined to join the trend of underscoring the expanding intersection between consumer technologies and automobiles. [INQ. NO. 1412E08] Since Seyoung Information & Telecommunication was spun off from the Network Business Unit of Samsung Electronics at 1998, the company has steadily expanded its business area as a professional repairing company. Its repairing area has now grown to cover highspeed terminals and CDMA vase station equipment based on its repairing technique in exchanger area. It also develops short-range wireless communication solutions (WIWI) and IP based multimedia communication solution(S-media) utilizing its accumulated knowledge and know-how in H/W and S/W field gained after many years of repairing. Seyoung Info & Telaggressively copes with demand of the future and keep pace with rapidly changing technology and customers’ requirements thanks to the complete quality management, innovative management and experienced experts. [INQ. NO. 1312E07]Since Seyoung Information & Telecommunication was spun off from the Network Business Unit of Samsung Electronics at 1998, the company has steadily expanded its business area as a professional repairing company. Its repairing area has now grown to cover high-speed terminals and CDMA vase station equipment based on its repairing technique in exchanger area. It also develops short-range wireless communication solutions (WIWI) and IP based multimedia communication solution(S-media) with its knowledge and know-how in H/W and S/W field gained after many years of repairing. Seyoung Info & Tel aggressively copes with demand of the future and keep pace with rapidly changing technology and customers’ requirements thanks to the complete quality management, innovative management and experienced experts. 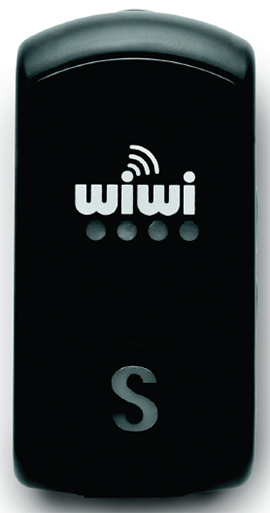 WiWI(SH-320) from the company is 2.4GHz digital wireless communication solution(Transceiver). Simultaneous two-way voice communication among headsets(wiwi) is available. Four- channel use is supported and is available for concurrent communication among three persons in maximum per channel and the audio receiving is possible by adding another 255persons. It is easily portable (weighs just 39g) and can be used while moving. Also provides voice and audio data communication and high-security communication. It can be linked with audio devices including TV, PC, MP3, Speaker etc. WIWI is being used to various fields (Tour Guide, Industrial field, Broadcasting, Riding horse, Business meetings, etc.). Operation time is Max 8 to 12hours and charging time only 2hours. Dongle(UD-110), option product, supports bidirectional audio when it is connected to other multimedia with USB cable. The acoustic source is audible from multimedia via SH-320, and its voice inputs to the computer via SH-320 mic.